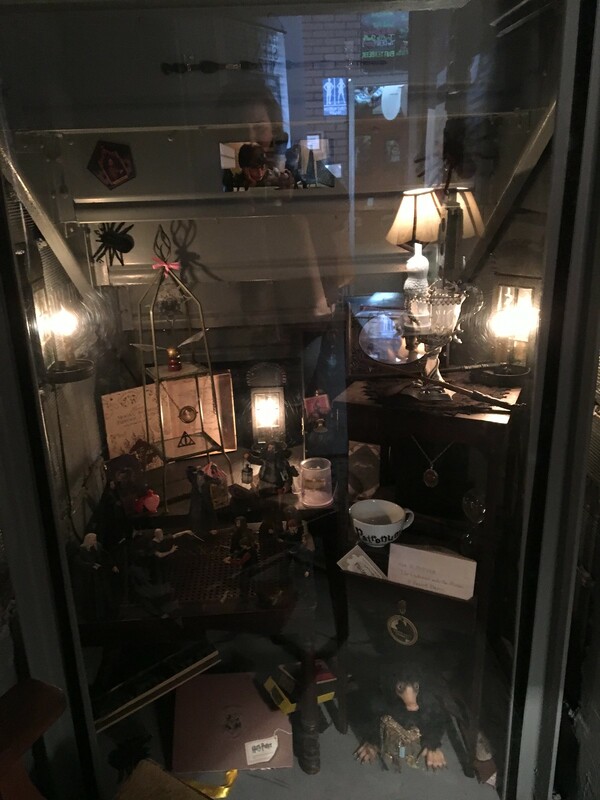 There is a little world of Harry Potter in southern West Virginia. Outside of Hot Cup Coffee in Logan, you'll see a shopping cart halfway lodged into into a pole, and, inside, there are even more hidden secrets. Hot Cup Coffee is really a cool place. 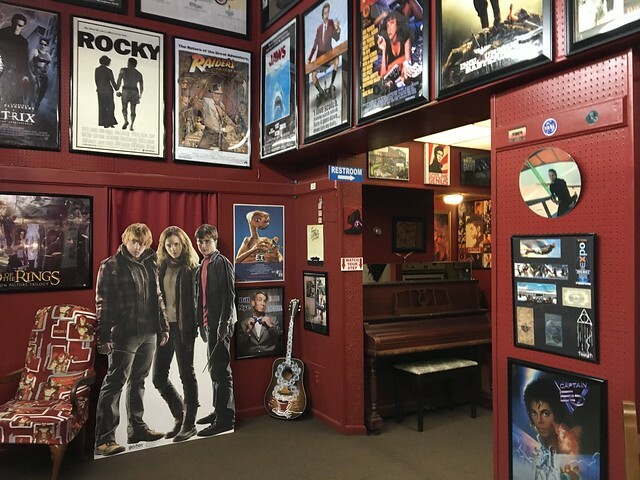 when I walked in, I noticed everything was dark red, nice wooden floors and bits of art all over the wall. 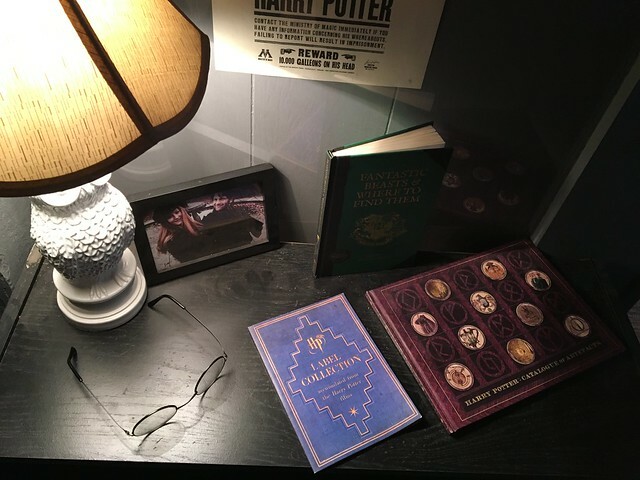 It is a large space with a lounge feel, and in the back, there is an ode to movies and a hidden Harry Potter room. Very neat. 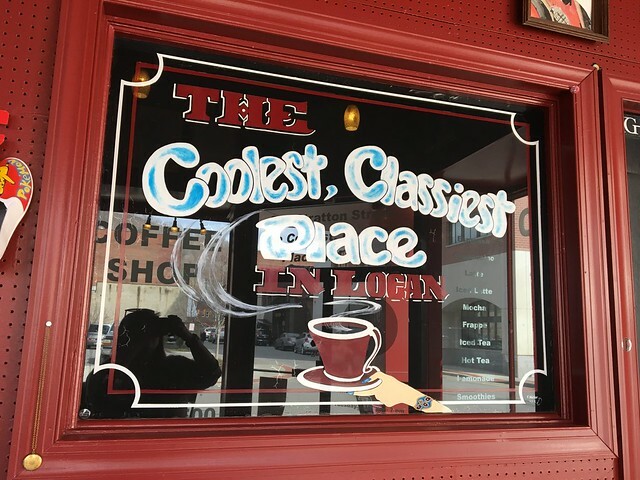 True Gourmet Coffee & Pastries like Logan has never experienced before. Isn't it time that Logan had a REAL Coffee Shop of its own? Now it does. Come in, relax, take in the atmosphere, & savor the experience of HOT CUP. 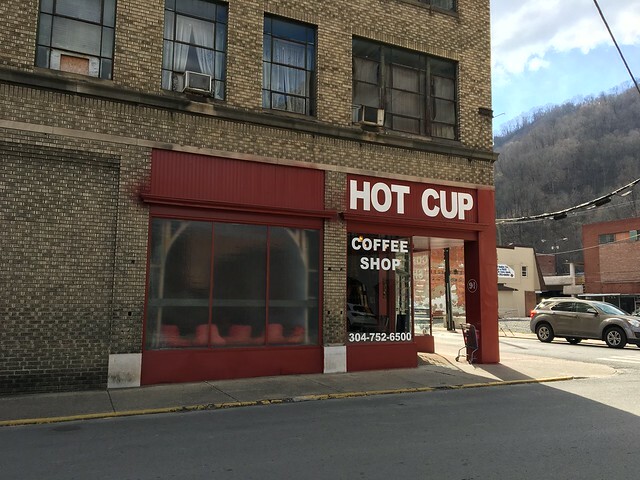 HOT CUP also serves up Breakfast & Lunch items! 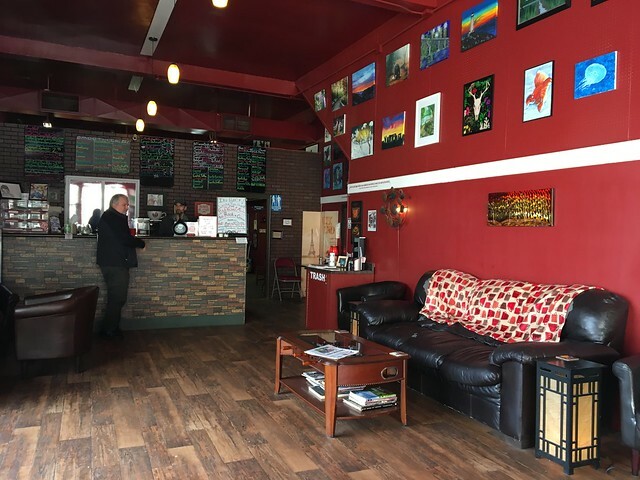 HOT CUP is also the new Hub for the Arts in Logan. We feature Paintings & Sketches by local artists. We have local acoustic musicians, open mic night for poets & even Stand Up Comedy after Hours! Don't forget to bring your mobile device, because HOT CUP has FREE WiFi! Come to HOT CUP. There's a cup waiting for you Today! 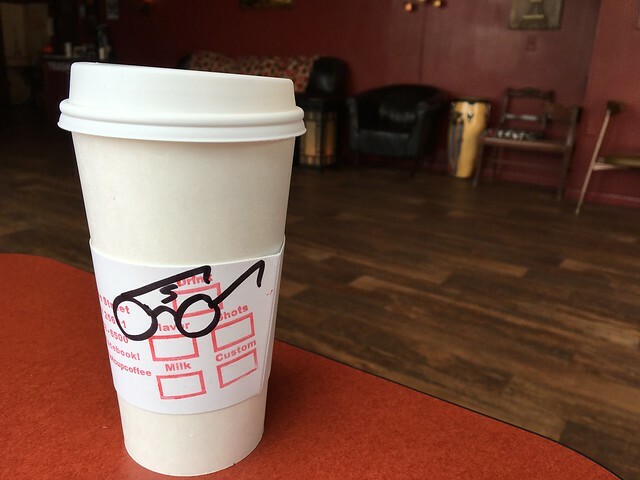 And, going in line with the Harry Potter theme, this shop has some really delicious coffees - including "Butter Beer," which I had to try out. 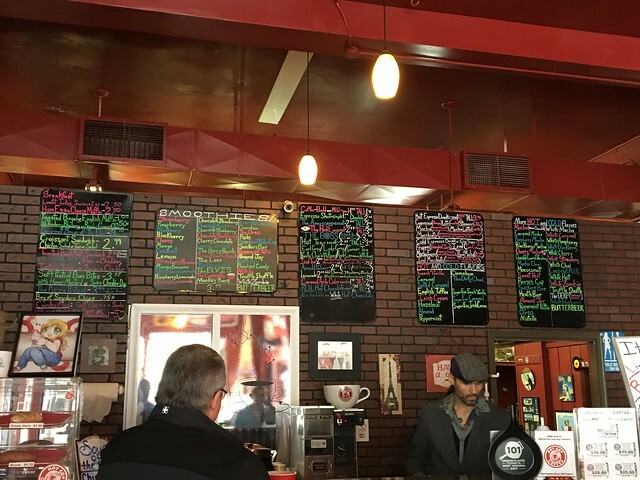 Other coffees included flavors like White Caramel, White Zombie, Truffle Shuffle, Snickers Bar, plus cappuccino, frappe, mocha, real hot chocolates and more. And because I was a bit hungry, I also ordered their "Pizza Pretzel." 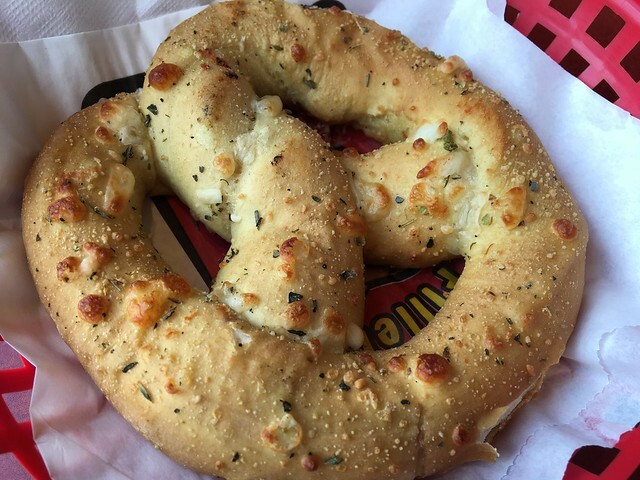 THE PIZZA PRETZEL - $3.00. You know those really big, really soft pretzels that everyone loves? 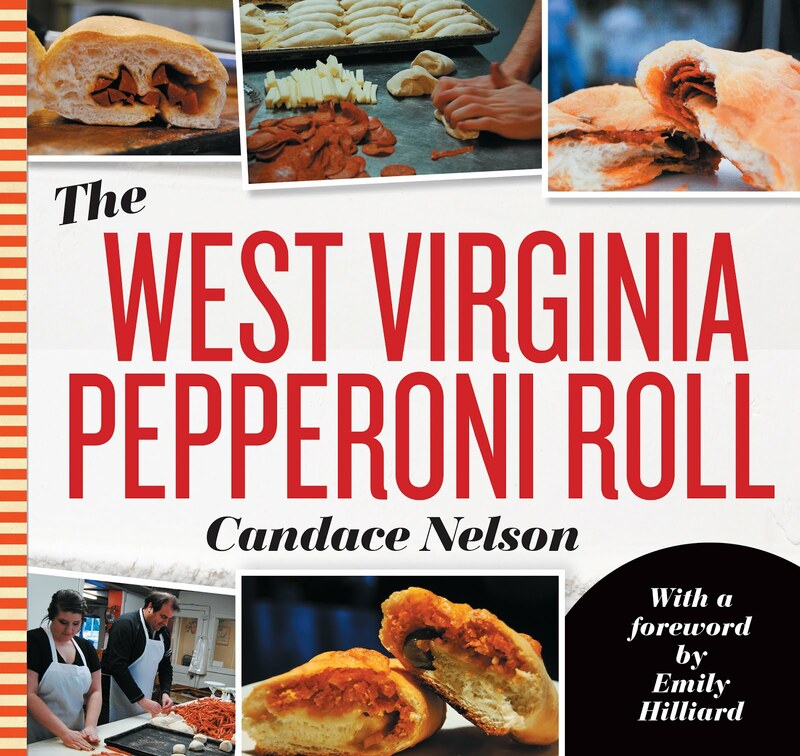 What if I told you that we took one of those & crammed it full of Pizza Sauce & topped it with a bit of Mozzarella Cheese? Sound good? We thought so. It’s waiting on you now, only at HOT CUP! So, the "Butter Beer" is just out of this world. It was sweet, rich, butterscotchy and just amazing. I wish this existed in Morgantown because I may have it every day. The pizza pretzel could not compare to the deliciousness of the beverage; next time, I think I'll pair a pastry with that perfect drink.